Pygmees or Elephants? Mashona or Ivanov? Loxo or Nusch? Strut or Foundling? 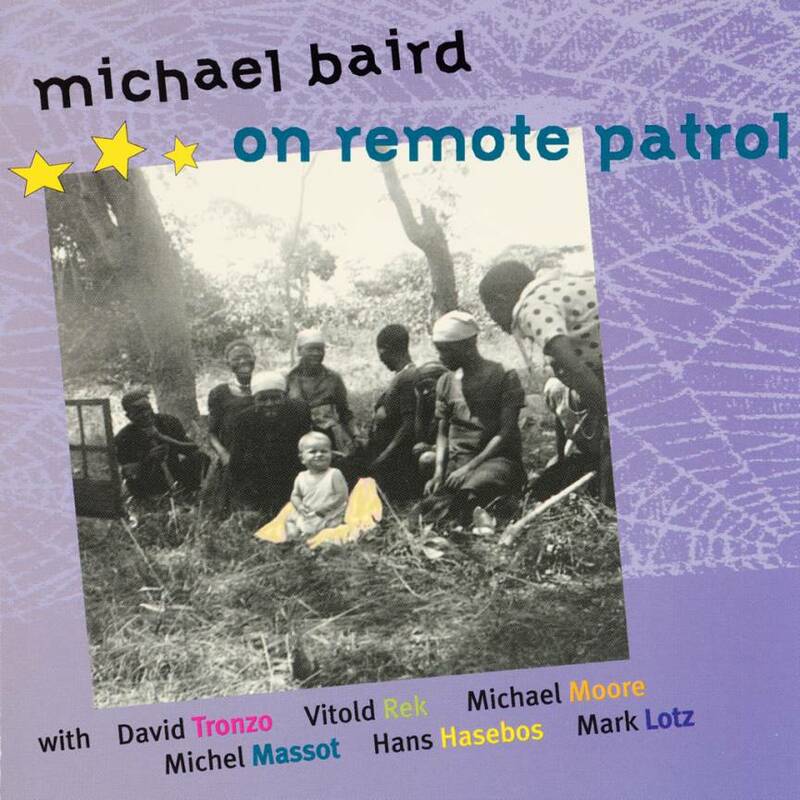 A continuing original view on Europe/Africa and modern music, Michael Baird's Voodoo-jazz continues on this album. With Michael Baird (GB), David Tronzo (USA), Vitold Rek (PL), Michael Moore (USA), Michel Massot (B), Hans Hasebos (NL) and Mark Lotz (D). Recorded in 1996. Total time: 53'56". Tracklist: 1. Mashona Fantasie, 2. Ivanov Syndrome, 3. Strut, 4. Foundling, 5. Thoughts About Nusch, 6. Loxo, 7. Pygmees & Elephants, 8. Flightpath. Jazz Nu 1997 (NL): "Weinig eigentijdse producties weten op zo’n frisse en verrassende wijze Afrikaanse polyritmiek, westerse compositietechnieken en jazzachtige improvisatie te vermengen." "There are few contemporary productions where African polyrhythms, western composition techniques and jazzy improvisations are mixed in such a fresh and surprising way."